Who remembers that Miley song, huh? Loooooong time ago. A lot has happened in the digital world since Seven Things came out in the year 2008. To me, the most influential change must have been the rise of popular social media. While platforms such as Blogger, Typepad, Tumblr and MySpace could be seen as social media avant la lettre, I believe it’s the rise of popular social media platforms that has really changed the course of digital content creation. It’s fair to say that by 2010 the blogging world was somewhat swallowed up and not much spectacular was happening anymore. 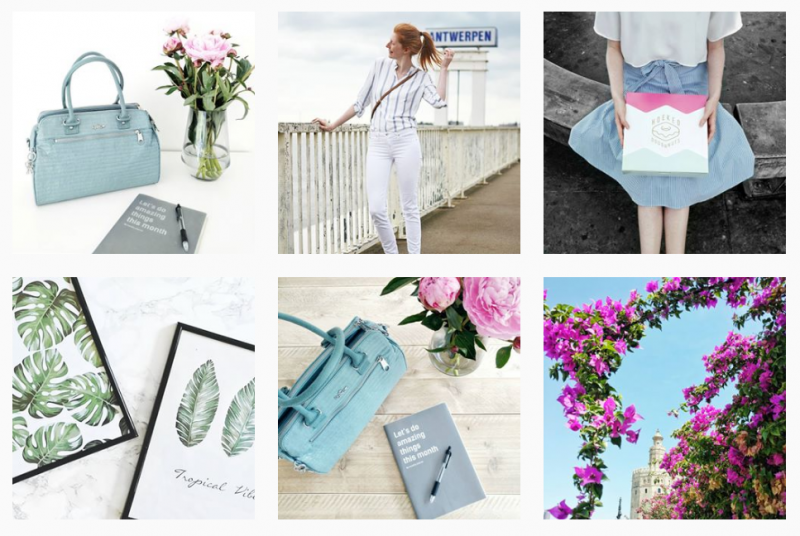 It’s in that quiet time that social media took the blogging world by a storm. Platforms such as Youtube, Facebook, Twitter, Vine, Periscope, SnapChat and Instagram changed the game for all of us. For me personally, the biggest shock came with the release of Instagram in 2010. A lot of characters have been typed on the subject of Instagram. It’s a hip and trendy topic and everyone has something to say about it. So do I. I think. We’re talking 7 things I hate about The Gram today. A disclaimer is usually needed with this type of blog posts so before you read on please note that I am not aiming at specific people in this post. Remember that this post is about my opinion and my feelings after my experiences with Instagram. I understand and respect that you might have a different opinion about the subjects that I am about to touch and I would like to be met with the same respect and understanding. Also, I suggest adding a pinch of salt to make the next few paragraphs more readable for you. I might have exaggerated here and there. I like it spicy. 1. Algorithm changes. From the anachronistic timeline to only showing the people I’ve recently engaged with, every recent change in the algorithm has lead to a facepalm moment. It starts with disbelief, leads to frustration and eventually ends with a long process of habituation. Then they just twist it all around again. Instagram sure knows how to keep us on the tips of our toes! Most recently I’ve noticed that if I post more than one photo per day, the second and later pictures will only get 1/4th the views. Some photos in general get seen by a thousand, while others barely reach two hundred. I always feel very disappointed when a photo I really, really love does not get the feedback that I expected based on previous results. 2. Over-sharing the free stuff. For example: Raise your hand if you’ve seen one or more influencers who’ve returned from their summer holiday and shared a snap of the sky-high stack of packages that was waiting for them at the doorstep? Or if you’ve seen unboxings featuring ten consecutive posts that go “Thanks Brand X, for this omgamazing product!”. When I see this type of post the only message I take from it is that the influencer in question doing well for him or herself. Unless it’s a good type of review, it does nothing for the brand that is being mentioned. Nothing. This type of content doesn’t spark my interest, it only makes me feel envious of the person who received all these gifts for for free or even gets paid to post while I as a viewer received nothing. It tends to come across as bragging too sometimes and above all it creates a distance between me and the influencer which makes me less likely to interact with their accounts. I sure do unboxing stories too, I even love doing them, but I always keep in mind how my story might come across and what it does for the brand I’m featuring. When I see brands featured in a waterfall of free stuff I am less likely to take them serious. Their message as an individual brand gets lost and I see them as just another one of those brands who didn’t do proper research before starting their online marketing campaign. 3. Instagram affects my well-being. Everybody wants to be Instagram famous, but we can’t all be. I’ve had a difficult time accepting that no matter how much effort and thought I put into the platform, I just don’t get the results. 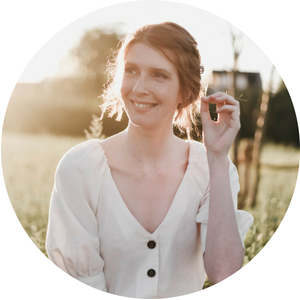 I have a big Pinterest board full of tips on social media strategies and I’ve read probably a thousand blog posts on how to grow on Instagram, but nothing works for me. I probably don’t have to explain what the feeling of failure does to a person. Every lost follower makes me doubt myself. It makes me feel unpopular and oftentimes even miserable. I find it hard to turn my feelings of inferiority to those influncers who are making it into streams of motivation to keep trying to better myself as a blogger. Really hard. Secondly, sharing content has never been more easy. There are so many people putting content out these days that I feel really overwhelmed by it all. I see so many amazing photography work, beautiful travel destinations and cool outfits that I can barely process it all. It is also becoming increasingly difficult not to fall into the trap of comparison. Even if I am aware and try not to do so, I will compare myself to what I see on social media. Theodore Roosevelt once said that comparison is thief of joy and that is so, so true. 4. Desperation for growth. Giveaways, loop giveaways, shout-outs, follow-for-follow, share-for-share, … . I see so many influencers sharing print-screens of each others feeds with a “follow my babe X” or “Prettiest feed ever, go follow X” and every time I wonder why. Why would I be interested in seeing a bunch of random influencers every day that you do not seem to have any relation with? Why!? Growth. We all want to have more followers and the aforementioned actions are the most well known strategies to achieve that. These actions just don’t sit right with me. The type of followers that I would get from actions such as SFS are not the type of followers that I want. They do not engage, they do not click through to read my blog and after a few new pictures they’ll realize they can’t relate to me and click the unfollow button. Of course there are some who will forget to unfollow, but oftentimes they will just sit there, forever holding their silence. This results in huge followings, but no likes and no comments to give that huge follower count some credibility. Nevertheless, Instagram (mostly Stories) keeps being flooded by this type of posts and it doens’t seem like the tide is about to turn soon. Extra disclaimer: I share my newest blog post in my stories all the time. We all do call-to-action, but make it interesting and don’t call me to action ten times a day. 5. The follow-unfollow game. Is there anyone on Instagram who is not using mass-following every profile they encounter as a way to grow themselves? Are there actually still people who follow others out of genuine interest and not just because they want the other person to follow them back? Like for real, 9 out of 10 new followers I get will have unfollowed by the time I post my next picture. I have so many thoughts and frustrations about this trend that I wrote a separate post about it. I will see if I can get the post edited in a way that it is not too offensive to be published on the interwebs. Like I said, I like it spicy. 6. Taking it personal. People who comment on other people’s Instagram behavior are often called out. I have a story to help clarify what I mean. A few weeks ago I was going through an “I’m all done with Instagram”-phase. Yet again I had seen my follower count grow by 10 only to fall back by 20 as soon as I posted a new photo. I got so discouraged that I decided to troll back the internet and post on my Stories, asking if the following post would have any effect, then posted a “Go give my new pic some love” snap with a sarcastic smiley. Very childish, I know, but you should have seen the DM’s that came pouring in. I got called jealous, a nobody and accused of finger-pointing specific people (Some I had honestly never heard about before). There were people commenting to defend the strategy, but there were also people telling me not to spam my posts in their face. Also interesting: I received questions from people asking me if I was pointing at them because they felt attacked by that meaningless little post on my stories (that did not have any names, tags or references in it). It amazes me how many people, including myself, take what happens on Instagram personal. 7. I love you, Instagram.The seventh thing I hate most about Instagram is that I love it. Or, I love the concept. I love making beautiful images and sharing them, especially if it is #OOTD’s or my travel photos and I love getting feedback on them from my followers. I also like to browse the internet for inspiration for what to shop for the new season or to find new places to eat. Instagram is one of the best ways to do so! There is no equally good alternative that does not suffer from the same flaws. These seven points reflect how I currently feel about Instagram. I have been keeping these thoughts and feelings to myself for a while now, but today I really felt a need to pour everything out. Despite having plenty of reasons to keep away from the platform I spend on average 30-60 minutes per day scrolling and swiping through pictures and stories. Not sure if that is because of addiction to new stimuli (hello dopamine! ), voyeurism or out of plain boredom, haha. I will keep posting on my Instagram account and I am not thinking about quitting. However, I am currently trying to completely change my attitude towards my own Instagram account and try to uncouple it from me as a person in an effort to learn how to take things less personally and let Instagram have less influence on my well-being. That is definitely not easy and I’m expecting a lot of ups and downs, but I’m trying and I feel like that is the most I can do! Romy from Rusty Revolvers wrote a post today full of tips on how to still have fun on Instagram: read it here! I am curious to hear about your experiences! Do you feel the same? Do you have anything to add to the list? What has worked for you? Let’s start a discussion! As I said earlier in the post, I tried to write this with as much respect towards other users as possible, so please, if you leave a comment try meet me with the same respect. Zo herkenbaar! 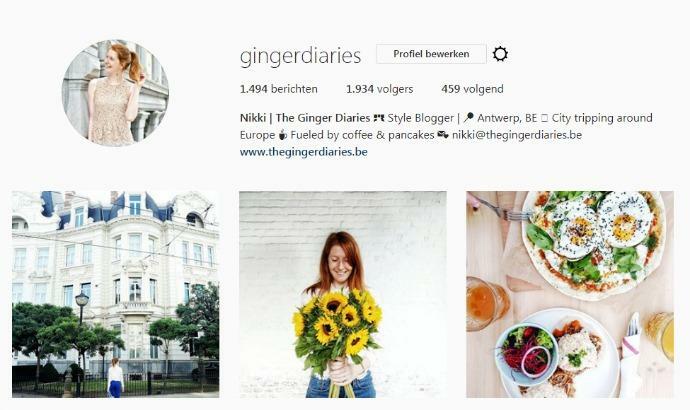 Ik heb ook echt mijn frustraties met Instagram en ook ik blijf ernaar terugkeren! Deze post zegt gewoon wat ik al een tijdje denk. Het algoritme suckt. Niets zo frustrerend als je opeens voorbij een persoon komt en denkt ‘Daar heb ik al eeuwen geen foto meer van gezien’.. Ook, vorige week ergens deelde opeens iedereen zijn ‘favorite accounts’. Letterlijk elke story die ik opendeed. Gek werd ik ervan. Instagram is de pure definitie van een love-hate-relationship. ? Nagels en koppen! Ik heb mezelf (emotioneel) de voorbije tijd redelijk gedistantieerd van insta. Ik ben ook bepaalde mensen gaan ontvolgen. Niets persoonlijk tegen heb, maar ik voelde geen klik meer met hun account. De vele sponsored posts zonder verhaal/ziel zitten daar voor veel tussen. Enerzijds denk je: proficiat, you made it this far en nu mag je meedoen met de grote spelers. En anderzijds denk je: ik vond je account leuker toen het meer echt oprecht jij was. Niet iedereen is zo, en sommige grote(re) namen volk ik nog steeds met veel plezier. Maar anderen zoek ik dan liever nu en dan eens op via de zoekfunctie ipv elke dag overladen te worden met content die er (voor mij) niet meer zo toe doet. Keep calm, leg je gsm weg als het te veel wordt en blijf vooral je eigen ding doen. You do you and therefore I love you. I totally feel the same about Instagram. In the last period I decided I don’t care how many likes I have, I just post for fun! For what it’s worth I found this post funny and relatable, so you’ll get no hate mail from me! haha! I go through phases with Instagram, like most things. I have been using it much less since the feed moved from being chronological though. It’s the ads that kill me. It’s posts from 4 hours ago, 2 days ago, 2 minutes ago with ads in between and I just get frustrated and close the ap. I also report all ads saying I don’t want to see them, haha! Maybe that’s why I get so many, they are trying to find ones I like. I do like the community and seeing what my insta friends are up to, it’s just hard when it’s impossible to see all their posts. Who knows, maybe a in a couple weeks I’ll be back to loving instagram and trying hard at it, but right now I’m in a post the pic and run mood, can’t be bothered with the hassle! Helemaal waar, all of it. Ik heb me enkele dagen geleden ook bezig gehouden met het ontvolgen van dingen die mij niet liggen/interesseren/mijn tijd verdoen (om het cru uit te drukken but in the end is het wel zo..). En dat volgde ook tot ontvolgers. Too bad for them. Yes girl! I agree with most of this ? Babe, I loved this post. Thx om je zo kwetsbaar op te stellen en de frustraties waar we allemaal wel eens mee worstelen op je eigen spicy manier (Which I LOOOOVE), bloot te leggen. Ik volgde je helaas nog niet maar I love your feed so keep it up beauty! It’s not the numbers that count but the people behind it, nul komma nul reden om aan jezelf te twijfelen, je feed is top en jij ook! Lovvies ?? I cannot understand hate mail or messages! If you don’t have something nice to say, just don’t say anything at all, ya know? I hope you didn’t take my “these types of posts don’t draw me in at all” comment as any kind of distain for you trying it out when you asked. Those posts don’t bother me at all, they just don’t cause me to click through. And yes to the bit about unboxing! If you’re going to open a box from a company, maybe make that a feature, not just one of like five in a row. It doesn’t really do the company any good for their products to be lumped in with a bunch of other random things from other companies, and it’s probably not what the company was imagining when they sent the free stuff in the first place. It’s kind of unfair to them, I think, if they don’t get the special time and focus they were hoping for with a post by an influencer. Love it Nikki! Thanks for always knowing how to bring me back to your blog. I do still love to read a well written blogpost! Thank you. Thank you for this post. I constantly feel like I need to grow, and I can’t stop thinking I’m “doing something wrong”. Why I don’t have more followers? Why people don’t comment my posts? Should I keep updating my feed with pictures I know will do well with my followers? I HATE doing myself such questions. I like Instagram. I love finding talented people. But lately I found myself thinking what I loved most was finding honest people. Real people. Whenever I find myself asking these quesions again, I have to clear my mind, remind me that I love photography, I love sharing peeks about my day. And if I like real, honest people, I’m gonna try and be one myself.